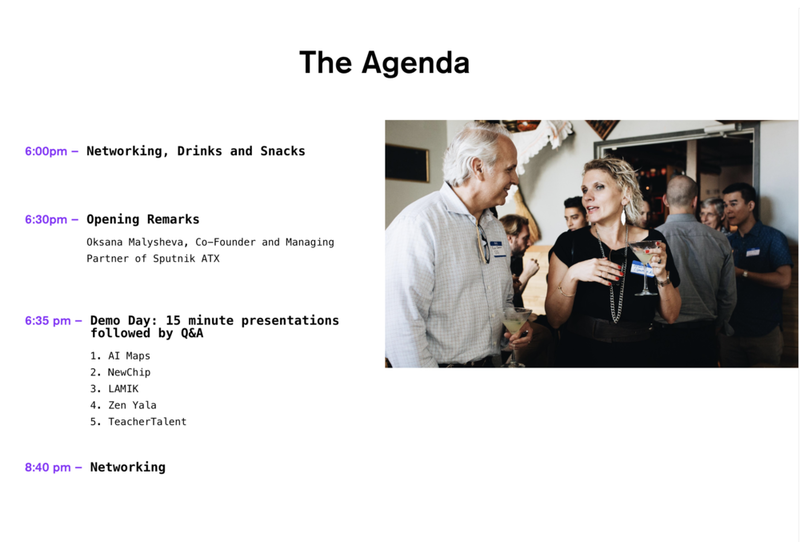 Sputnik ATX's Winter 2019 class of startups will pitch at Demo Day, the final event of our thirteen-week program. David Robinson Jr. joined Admiral Capital Group to build on its mission to make a strong social impact in the cities where the firm invests. Admiral Capital takes 10% of profits and utilizes investments to create opportunities to support communities. For example, Admiral Capital Group purchased a Hilton Hotel in Houston, TX and created the Admiral Hospital scholars program in partnership with Hilton, University of Houston and local school districts. The program provides internships and college scholarships for high school students in Houston interested in hospitality. Moving forward, David’s goal is to expand Admiral’s platform to making direct impact investments as well as scaling the philanthropic work. Before Admiral Capital Group, David spent three years working for sports and education technology startups in Austin and New York. 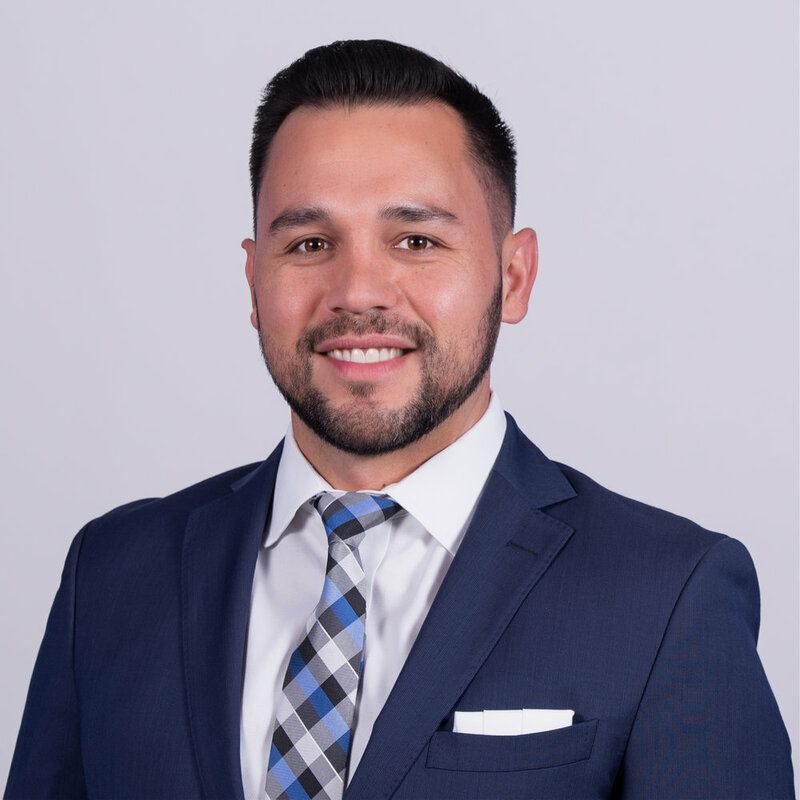 David was born and raised in San Antonio, Texas and attended University of Texas at Austin. 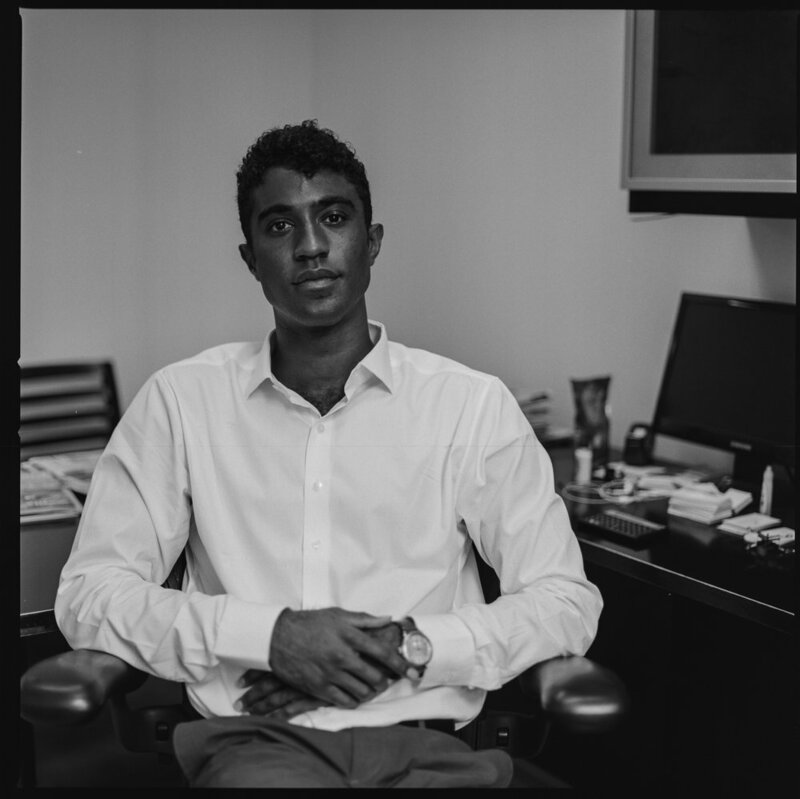 Join us at Sputnik ATX on December 14th, where David Robinson Jr. will speak about Opportunity Zones and Admiral Capital. Learn more about opportunity zones and RSVP below. 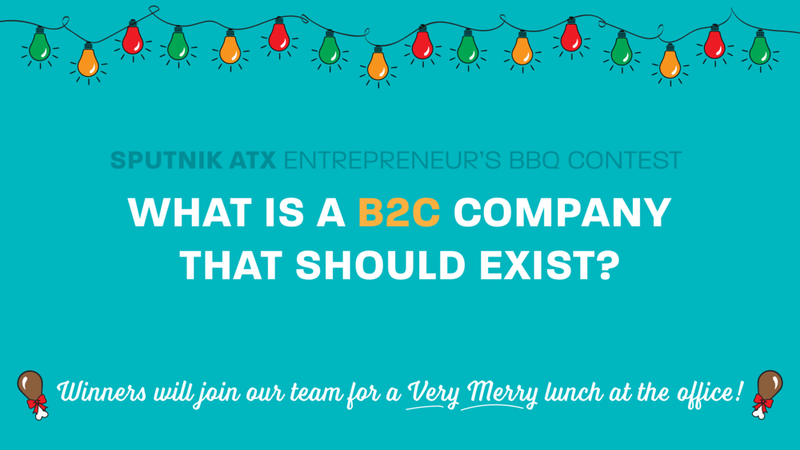 Sputnik ATX Partner Joe Merrill will be doing one-on-one office hours for students at the Herb Kelleher Center for Entrepreneurship on December 13th. If you are applying to Sputnik ATX's UT EIR program, this is a good chance to meet, pitch and get some mentoring beforehand! Join industry-leading CEOs, Limited Partners, General Partners, City Leaders, and Special Guests, as we discuss the current state of Texas venture investing at this private event. The VCs at Sputnik ATX venture-accelerator are hosting one-on-one office hours on Halloween. Got a wicked cool startup? Sign up for your slot to meet the partners and team, introduce your business and get mentored. Costume required. Learn more and RSVP below. 👉What's a consumer product idea that should exist, but doesn’t already exist? 👈 Best answers get seat at the table. Celebrate the Austin startup 'tapestry' in an event loaded with food, drinks, music, and surprise special guests! Data Scientists analyze large sets of data to make predictions about the future. While most transfer from professional careers in computer science, some of the best data scientists come straight from academia. If you have an advanced degree in a quantitative area of study like physics, applied mathematics, or statistics, the transition from academia into the tech sector is easier than you may think. We are bringing a PhD former quantitative researcher and current Talent Leader from Teza Technologies, Olga Myndyuk, to teach you how to transfer your academic data analytic skills to the tech industry. Join us for this intimate workshop where we will review your resumes, teach you how to position your skillset, and show you some of the most applicable jobs for you. NOTE: This is a highly curated session where we will be selecting participants. After you register on Eventbrite, please send your resume to info@sputnikatx.com for review and we will let you know if you've been accepted a week before the event. This session is brought to you by Sputnik ATX and Galvanize. 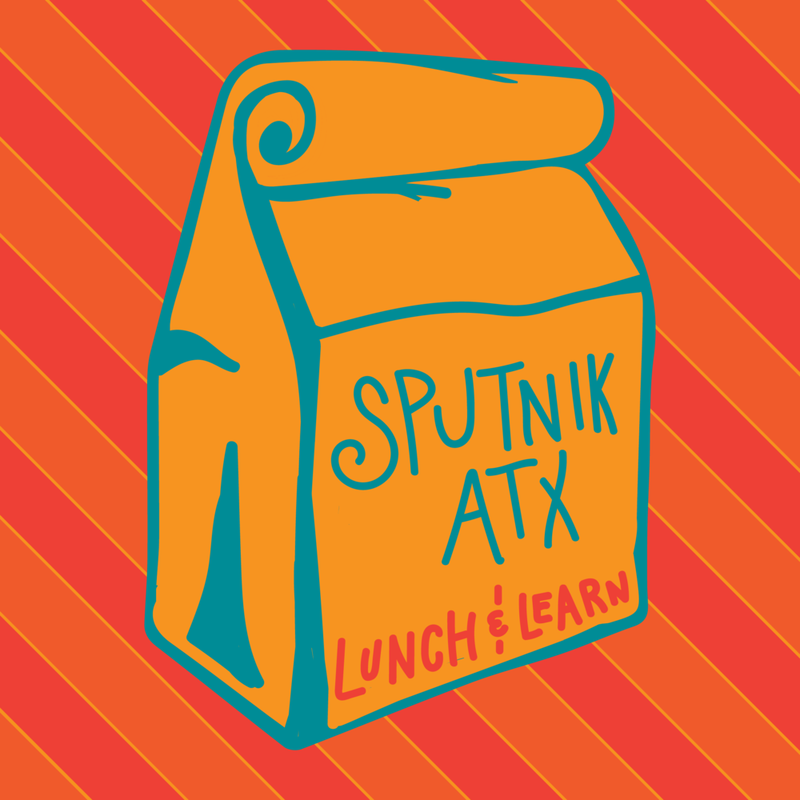 Hosted by Austin's newest accelerator, Sputnik ATX, these Lunch and Learns will cover items from our curriculum. They will be taught by team members and VC's of Sputnik and sometimes, special guests. FREE lunch will be provided to the first few to arrive. Go here to see upcoming lunch & learns and RSVP. Please sign up in advance, because space is limited. There is no charge to attend if you're in the first group to arrive, otherwise be prepared to bring a lunch. Sputnik ATX's first cohort is graduating this April! **Please RSVP by March 31st to hear pitches from our graduating cohort. One founder from each company will have 15 minutes to pitch, followed by 15 minutes of Q&A. Location: TBA Time: 9AM - 12PM Date: April 12,2018 Who will be there: Investors, by invitation only. If you have not recieved an invitation but would like to attend, please email info@sputnikatx.com. Remember when you got your first cell phone with a long antenna for sweet signal strength? Yeah. That wasn't long ago. 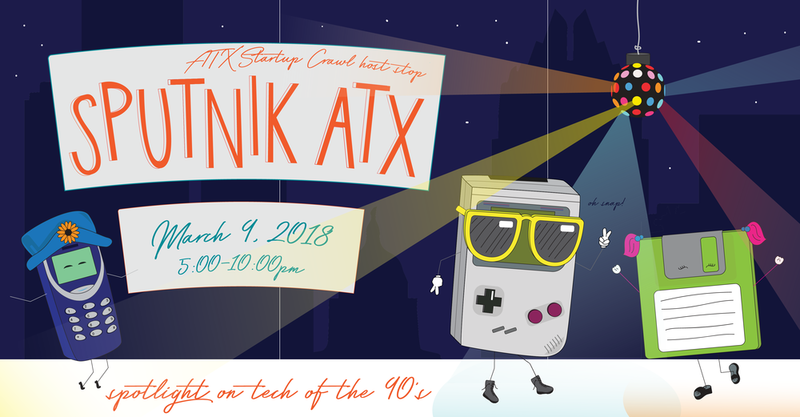 Sputnik ATX accelerator is back for the Austin Startup Crawl during SXSW! For #FlashbackFriday, come kick it with your totally rad friends and celebrate how far we've come in tech since the 90's. VC's, fellow entrepreneurs, startup teams, job seekers and the Sputnik ATX accelerator team will be hanging here. **Due to overwhelming response, we have added a "by donation" ticket option for those registerring after February 26 to help support all guests. Get ready for a serious flashback! Sputnik ATX at 301 Congress Ave. Check out our view of Austin from the 22nd floor! Sponsorship: If your business would like to sponsor Totally Rad Tech, please email info@sputnikatx.com. 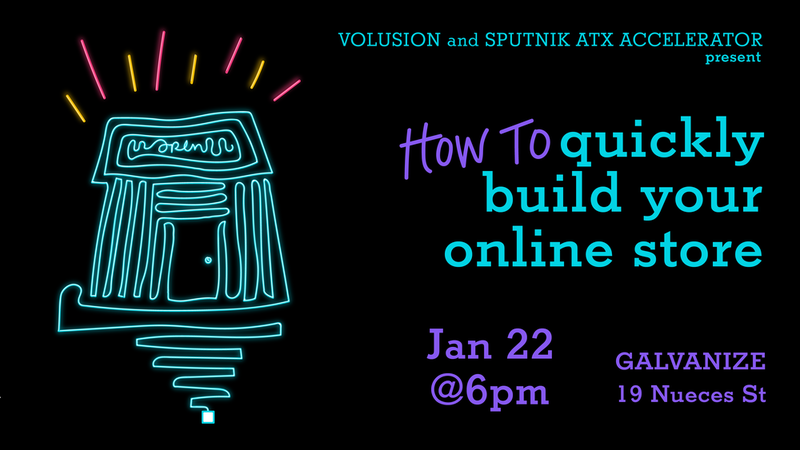 On International Women's Day, join Sputnik ATX CEO Dr. Oksana Malysheva + two female founders from our cohort -- Kelly Ernst, CEO of Redenim and Sonya Petcavich, CEO of Meowtel. Hear from Jay Motwani, Director of Sales at Volusion on how to avoid overcomplicating your launch and quickly build and manage your online store. Volusion is a leader in ecommerce solutions for online businesses, based in Austin, TX. Volusion provides shopping cart software for thousands of customers worldwide, including market leaders like Disney, Motorola, Chicago Tribune, 3M and Crutchfield. BIG THANKS to our sponsor, Trinet! Coming to a desk near you! 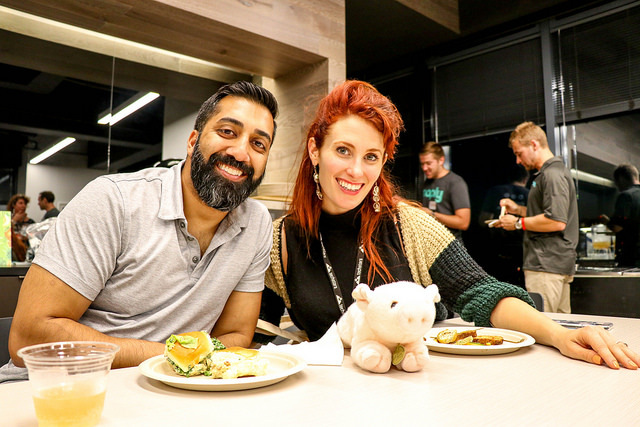 Find out the scoop on the Sputnik ATX accelerator program, 100K SAFE note, and what we look for in applicants. 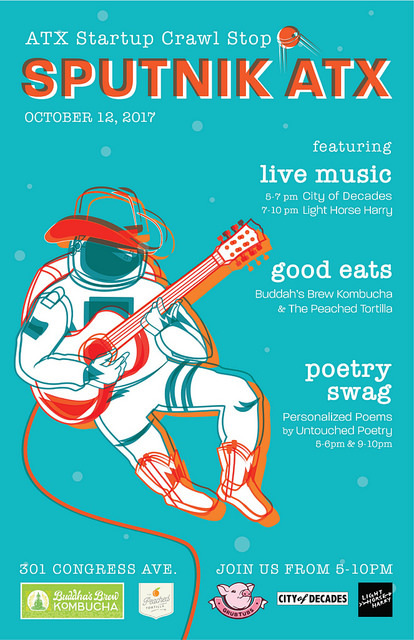 Join us on October 12, 2017 from 5pm to 10pm as we host a stop on the Austin Start Up Crawl. 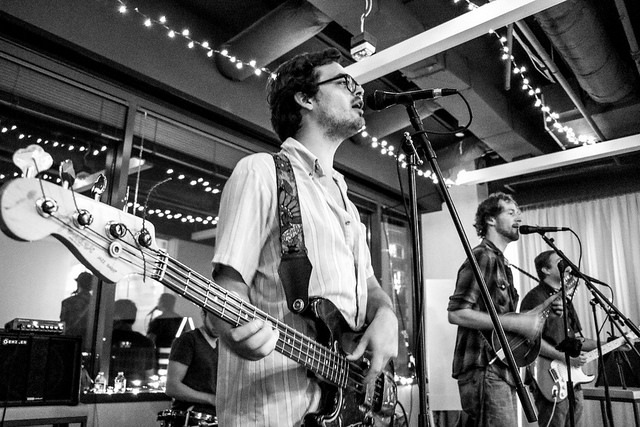 Live music, cool start-ups, VCs, and best of all, we have business poetry. Yeah, you know you want some! Custom poems will be written on the spot by our own business poet laureate, and if you don't get one, don't worry, we have ten start up virtues immortalized in a poetry series of our own that you can take home. On October 4th, 1957 the Sputnik 1 satellite launched and set the stage for a new era of technological innovation in the Space Age. On the 60th anniversary of that day, the Sputnik ATXaccelerator is launching. Sputnik ATX will cultivate an ecosystem of hard-working nerds, investors, training and mentoring so startups can reach their full potential. Sputnik means partner in Russian and Sputnik ATX wants to be your partner for take-off.